Joel Neuman is currently the Vice President and Senior Managing Counsel, Foodservice & On?Premise at Coca-Cola Refreshments, a position he has held since 2003. He joined The Coca-Cola Company in 1997 as Litigation Counsel and became Executive Counsel in 2001. Prior to joining The Coca-Cola Company, he was a Partner in the Chicago law firm of Sachnoff & Weaver (now part of the national law firm Reed & Smith) where he concentrated in complex commercial litigation. Joel received his JD with Honors from the University of Chicago Law School and his BA Degree with Honors from the University of Wisconsin-Madison. Following law school, he was a judicial law clerk for the Honorable Judge Joel M. Flaum on the Unites States Court of Appeals for the Seventh Circuit. In 1996 and 1997, Joel taught Antitrust Law at Loyola University Chicago School of Law. He served as the president of the Board of the Atlanta Volunteers Lawyer Foundation from 2008-09. 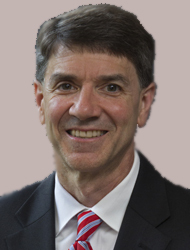 He is currently the Chairmen-Elect of the American-Israel Chamber of Commerce, Southeast Region, a member of the Executive Board of the Georgia Justice Project, and a member of the Atlanta Bar Association’s CLE Board.